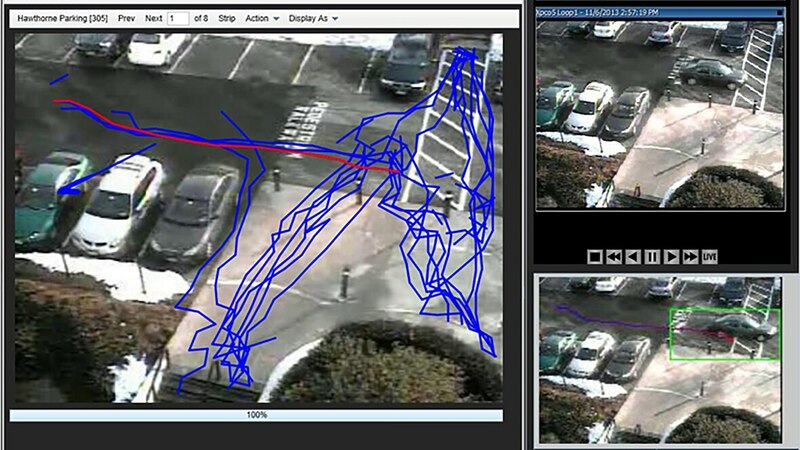 IBM Intelligent Video Analytics helps security and public safety organizations develop comprehensive security, intelligence and investigative capabilities using video. 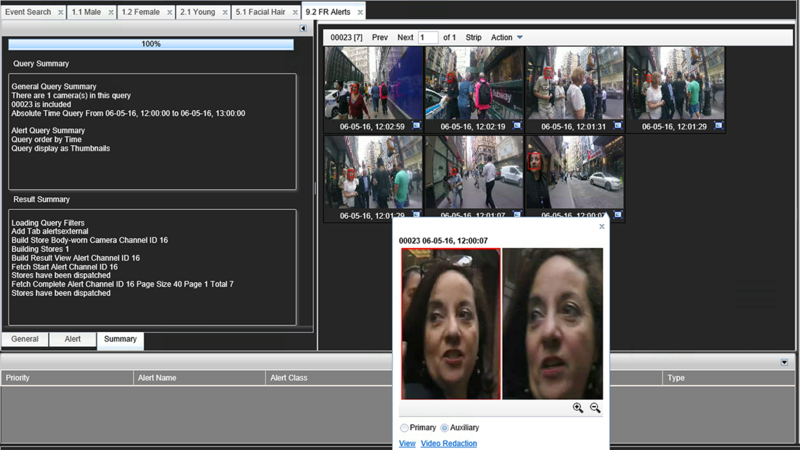 You can use advanced search, redaction and facial recognition analytics to find relevant images and critical information across multiple video files from multiple camera types. 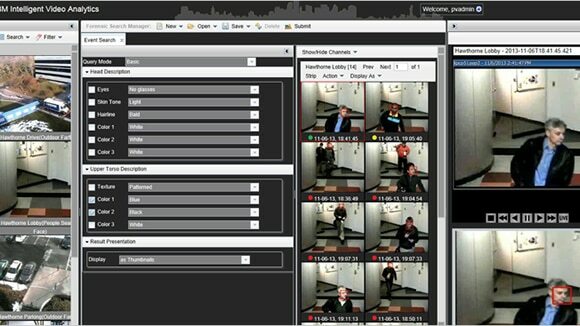 Selected live-streaming cameras plus pre-recorded video ingestion from both fixed cameras and cameras in motion are supported. 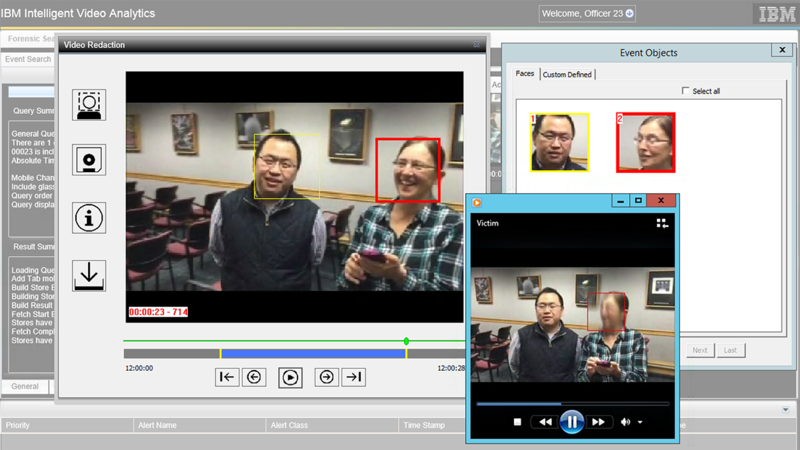 Augment staff and improve camera investment ROI by extracting information from captured video to uncover insights and patterns. 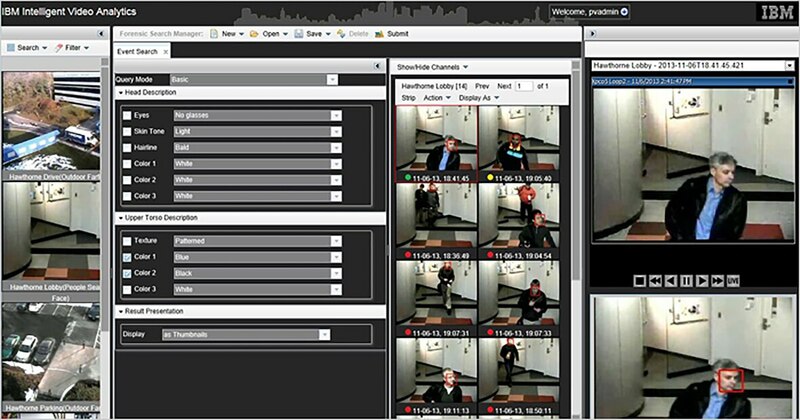 Customize the "monitor and alert" parameters from live-streaming fixed cameras to help identify perimeter breaches, abandoned objects, and more.